District Legal Services Authority DLSA, Mansa is working for the betterment and protection of the rights of the poor, downtrodden, weaker sections of the society as per the letter and spirit of the provisions enshrined in the legal services authority act, 1987 as well as Indian Constitution. The district legal services authority is providing quality legal services, organizing Lok Adalats at regular interval for providing speedy and economic justice, sensitizing the masses regarding their rights and duties by organizing awareness camps and also selecting persons from the society who can be trained as paralegal volunteers. "Nobody should be condemned unheard"
District legal services authority, Mansa is providing quality legal services to needy persons of the society as per the provisions of sections 12, of the legal services authority act, 1987. 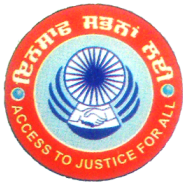 This webpage is in an attempt to impart knowledge about various schemes and programmes being run by the district legal services authority under the patronage of Punjab legal services authority PULSA as well as certain laws enactments which have been passed and implemented recently and which have shown their impact on the modern. Free legal services can be availed by submitting an application written or verbally to district and sessions judge - chairman, district legal services authority, to the Secretary, district legal services authority or to the assistant district attorney (legal services). Free legal services are provided in such a manner so that nobody should be condemned unheard. All expenses including legal fees of the counsels as well as expenses incurred for preparing the case are borne by district legal services authority. Download this form to apply for free legal advice / aid - http://g8.geekupd8.com/FLS-Form.